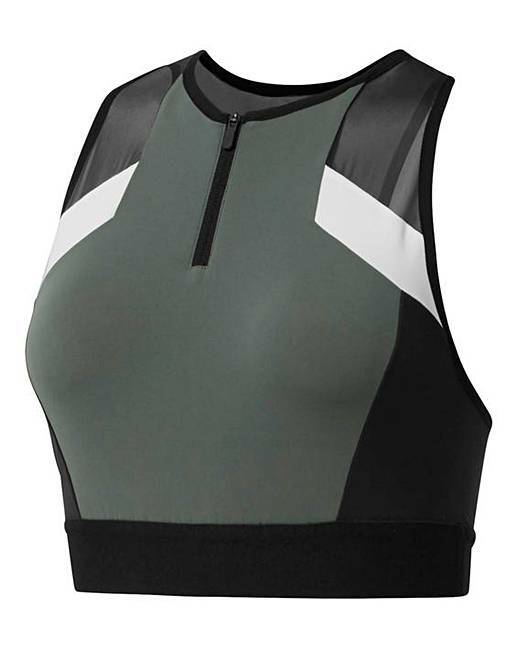 This Reebok Crop Top is an eye catching base layer in stunning contrast colour block. Fitted crop tank with high neckline and mesh paneling adds style and breathability. Speedwick moisture management technology and elasticated hem make for comfortable wear. Front Body: 62% Polyester 38% Elastane. 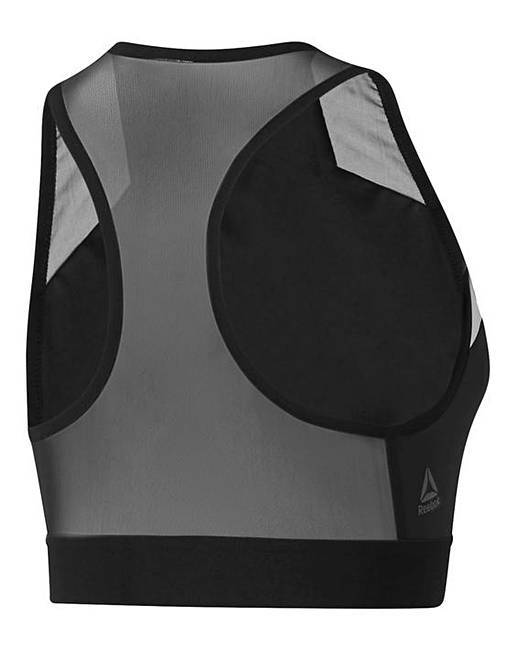 Back Body: 79% Nylon 21% Elastane. Lining Insert: 94% Polyester 6% Elastane.